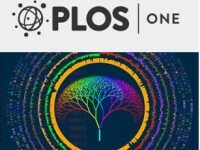 MindSpec proudly announces publication of an original research article in PLoS One, prioritizing copy number variants (CNVs) linked to autism. The genome-wide list of CNVs was compiled from the autism database AutDB (http://autism.mindspec.org/autdb/Welcome.do), licensed to the Simons Foundation as SFARI Gene. As an integrated, modular genetic database for autism, AutDB curates all CNVs currently linked to autism spectrum disorders (ASD). Using the AutDB dataset, MindSpec researchers evaluated a total of 4,926 CNVs derived from 2,373 ASD individuals in 48 scientific reports. Their comprehensive analysis identified 11 CNV loci that were significant for variation among ASD subjects compared to control healthy subjects. These loci diverged widely, varying in size (20-4950 kb) and number of genes, with seven loci containing at least 3 genes. Notably, three of these CNV loci are located within the chromosomal region 15q11.2-13.3, even though they still varied largely in genomic boundaries, CNV types, inheritance patterns, and overlap with CNVs from control populations. Together, MindSpec researchers demonstrate that these 11 CNV loci should be prioritized for future ASD research. This genetic analysis is part of MindSpec’s larger goal of accelerating the development of targeted drug treatments for ASD.